HIPAA is the Health Insurance Portability and Accountability Act of 1996. 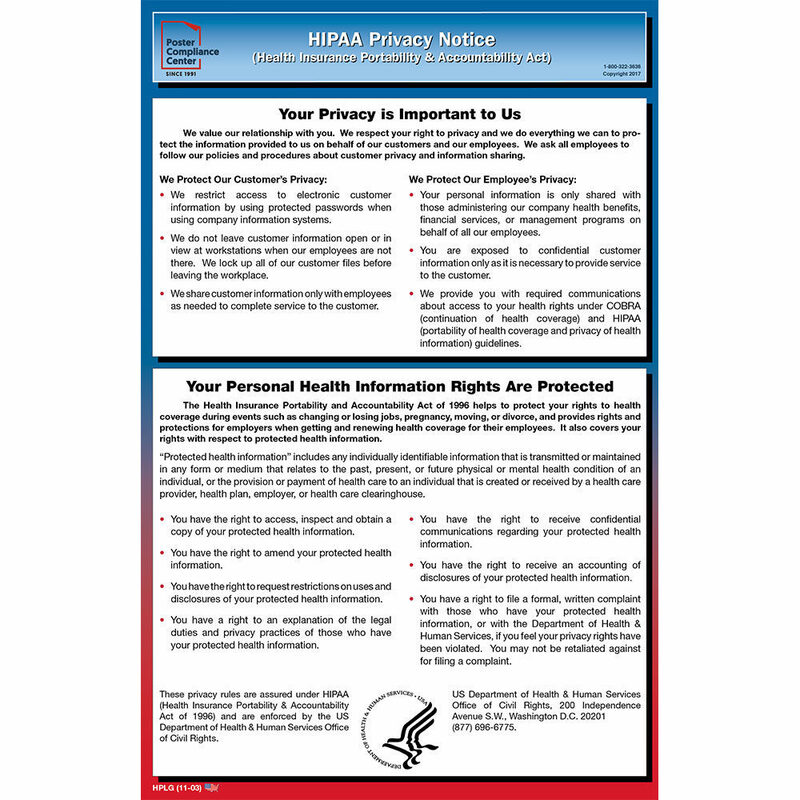 This informational poster explains how the business complies with HIPAA by protecting the privacy of its customers and employees, including employees’ personal health information. Are Employers impacted by HIPAA? YES. If you provide health benefits to your employees, HIPAA impacts your business. As plan administrators, Employers are responsible for their group health plan’s compliance with HIPAA and its regulations. Outlines six simple steps for employers to follow to protect the privacy of employees and customers. Invites the employer to examine related policies and procedures and make adjustments as necessary. Allows employees to read about their rights regarding the use of their personal health information. For questions about our posters call Poster Compliance Center at 800-322-3636.